Preparation: Bring a big blanket and a flashlight. How many of you have ever tried to walk in the dark? Have you ever gotten up in the middle of the night and tried to walk to the bathroom, for example? Maybe you forgot to pick up some sharp little toy and you stepped on it in the dark. It can be very difficult and even painful to walk around when it’s really dark. 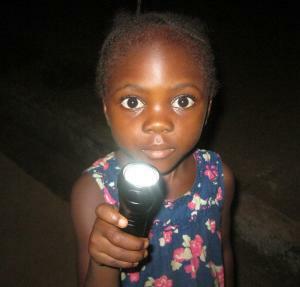 (You can share a story about your experience trying to walk in darkness. An example follows.) Sometimes, when I walk out the front door in the dark, I hear a crunch, which means that I have just stepped on a snail that has crept out to eat some tender flowers at night. Or if I’m walking through the house in my bare feet with no lights on, sometimes I’ll stub my toe on a chair leg. Walking in the dark can be dangerous. If everyone scoots in real close, we’ll see how many people we can get under this dark blanket. (Gather with the children under the blanket.) It’s pretty dark under here, isn’t it? I wanted to read a Bible verse to you, but now it’s so dark I don’t know if I can. But I think I have something that might help. (Retrieve the flashlight out of your bag.) This flashlight will really help; just the thing to push back the darkness. (Turn on the light.) That makes a big difference, doesn’t it? I can see much better. Here’s the Bible verse; Isaiah, chapter 9, “The people who walked in darkness have seen a great light; those who lived in a land of deep darkness; on them light has shined” (v. 2 NRSV). Let’s push back the darkness and take the blanket off now. (Remove blanket.) Can anyone answer this question; who is the “light of the world”? Someone said, “I am the light of the world.” Who was that? (Let children answer.) That was Jesus! Jesus is the light that came into our dark world. Jesus shows us where bad things are so we can avoid them. We don’t have to bump into the bad things because Jesus shines brightly and shows us the right way to go. The people who walked in the darkness, bumping into things, have seen a great light! Jesus Christ is the Light of the world. Prayer: Jesus, you are the Light of the world! Thank you for shining in our lives to show us the way we should go. Thanks for coming up this morning. Be careful as you go back to your seats, though, and try not to bump into anything on the way.